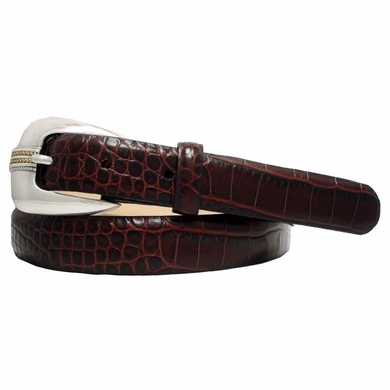 Sterling Silver Gold Plated Belt Buckle and Loop shown on a Fine Italian Alligator embossed Calfskin Brown strap. lined with soft Genuine Leather. 1 inch wide.